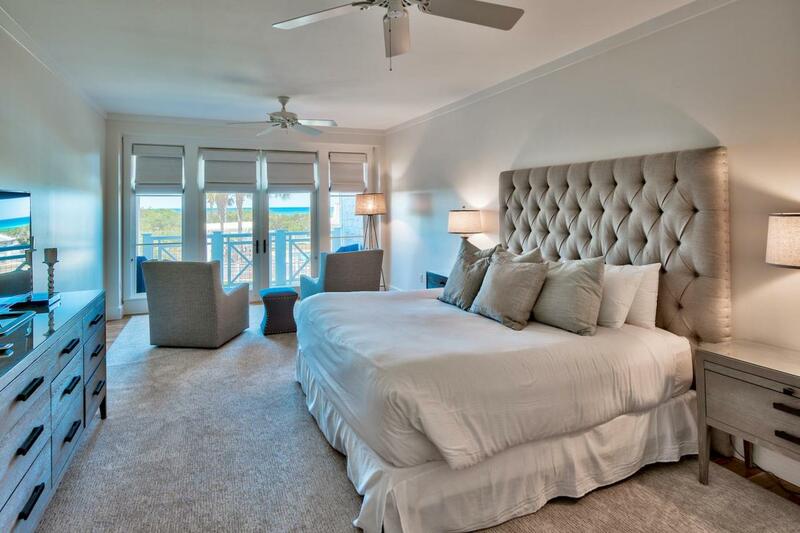 If you're torn between the spaciousness of a beach house but love the convenience of a condo, this stunning residence in The Crossings at WaterSound could be the perfect blend of both. 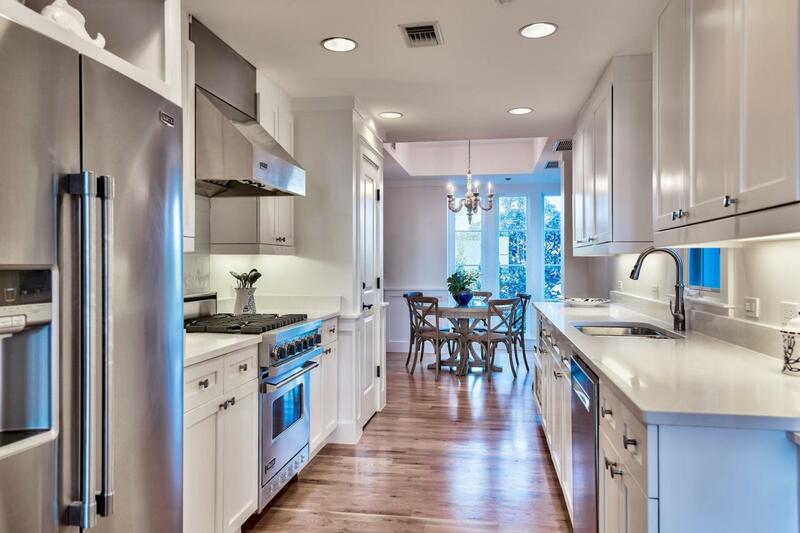 Spread over two levels, this 2,812 sq.ft. unit really does have space for every indulgence. Four beautiful bedrooms and 4.5 bathrooms provide ample space for family and friends and the formal dining area makes entertaining a cinch. The generous open-plan living space with full-height windows provides an airy ambience, bringing the outdoors in. 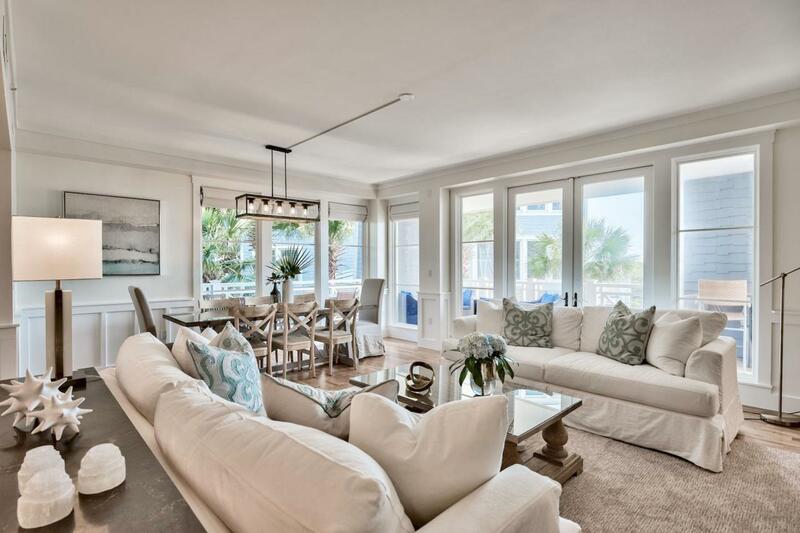 Wood flooring and tasteful decor by Dwell Interiors create a contemporary atmosphere for relaxing and enjoying life.Wide shady porches on both levels provide space for quiet contemplation of the glittering Gulf waters from a comfy chair. In the heat of the day, or on cooler evenings, dual aspect windows create an intimate space for informal dining or chatting with friends over a glass of wine. Visit the nearby Fitness Center for an early morning workout and enjoy Puttering Park or the children's playground. 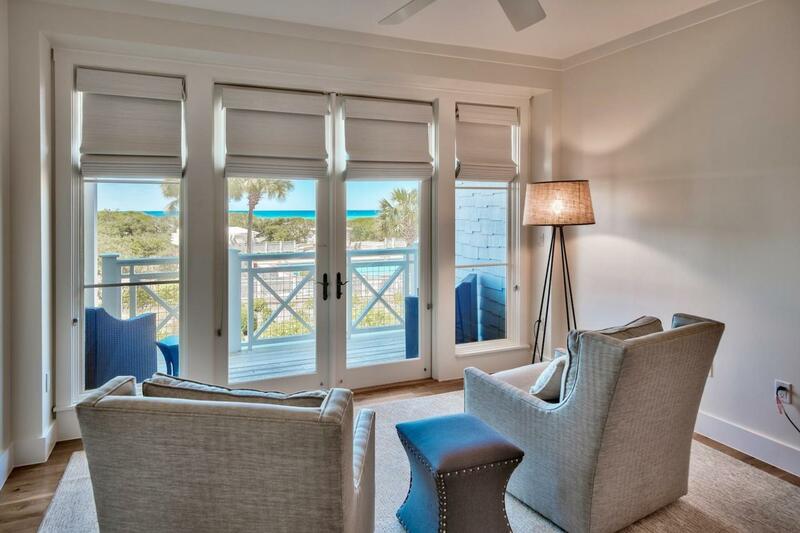 It's all part of the comfortable laid-back lifestyle that WaterSound Beach nurtures. Neighborhood pools and clubhouse amenities provide as much socializing as you wish for and just a short walk through the dunes brings you to the stunning white sandy beach.